← So Many Many MANYYYYY Group Gifts – 27 and Some Are Fatpacks! I love the dynamics of a business like Liv-Glam that brings in designers with special interests and skills. This week, a beautiful new design from Curiosity, our jewelry line. and silver. You can get one of each so you have the right set to match with every look you style. This great pants set includes the skinny leg or boot cut in the pants, then has a great top and fur jacket. If you haven’t added one of these to your inventory, the Blue Porchers in Noir pants set would be a great choice. 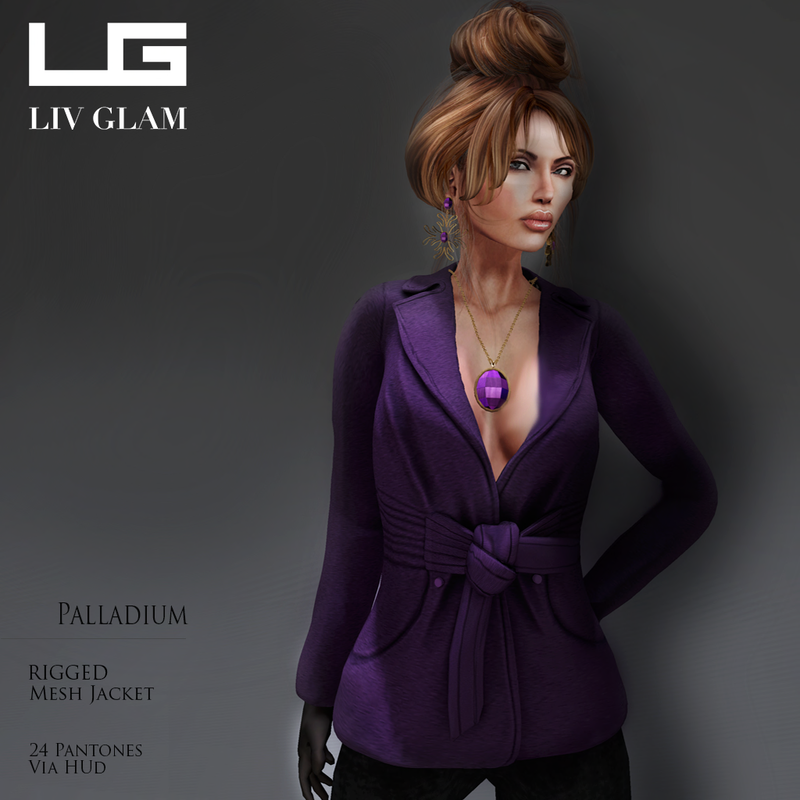 The Caryn Jacket and pants came out two weeks after I began working with Liv-Glam and truly touched my heart. I could not put into words how special that was to me. It also happens to be a great design. I may be 100 times more biased than average, but everyone needs a Caryn! It’s tough to make outerwear look right in layers with mesh but at Liv-Glam, she nails it every time, perfection. You can add this Palladium Jacket and choose from 24 pantone colors. How versatile is that? Navajo II is relatively new to Liv-Glam and you may not have seen it yet. It’s gorgeous with the mesh pieces separates, a jacket and skirt. When you have the pieces sold as separates, you can mix and match with other Liv-Glam pieces and create new looks in the process. When you buy Sherrie Monday or Tuesday, you’ll get this great set for 99L, and it includes multiple layers. Skirt, Belt, Bra, Shirt, Jacket and Fishnets. That’s a lot of bang for your buck.